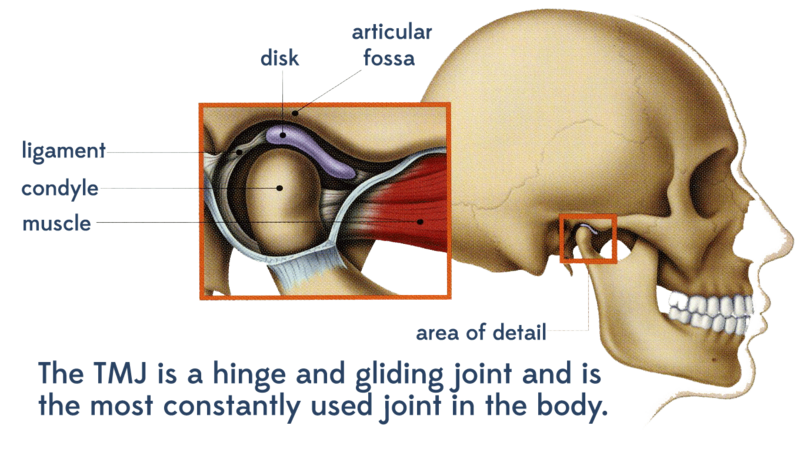 TMJ stands for temporal-mandibular joint. Temporal, as in temple area of skull; mandibular as in mandible, or lower jaw; joint as in where the head and jaw meet. 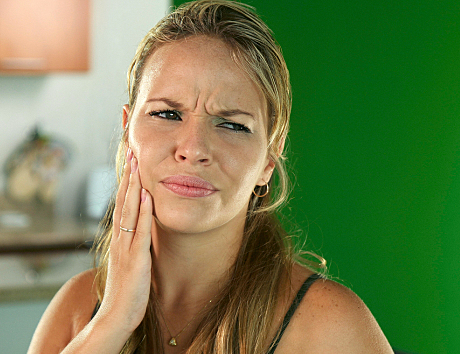 Problems in this joint may be caused by a misalignment of the teeth, trauma, or excess muscle tension. Cartilage buffers the two bones and five muscles that meet in this area, but any problems in this area can create quite a bit of pain and biting difficulties. Dental treatments for the condition can include replacing missing teeth, moving teeth, adjusting the bite and filling gaps between teeth. There is no one solution that is right for all cases. Occasionally an acrylic night guard is used to prevent clenching or grinding that is contributing to the problem. If untreated and in severe cases, surgery may be required to repair a badly damaged joint.